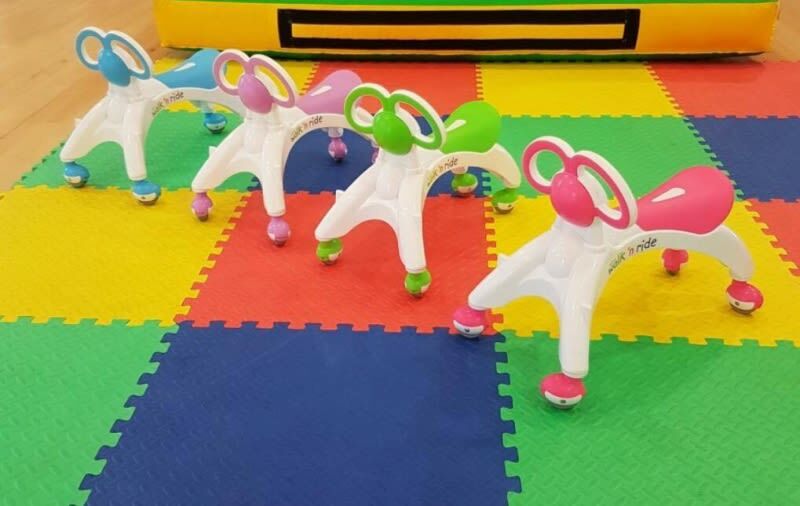 Walk n Rides are unique 2 in 1 toy. First its a Walker and then it becomes a Ride On toy for toddlers and children 12 months to 3 Years. With its rubberised caster wheels which allow complete 360 degrees of freedom of movement whilst preventing slipping and marks on the floor. This independence at an early age stimulates space awareness and builds self confidence. This amazing design makes for engaging play. Unlike traditional baby walkers where you hang in a chair or ‘L’ shaped trolleys with fixed wheels the Walk n Rides allows you to stand freely in front to toddle around. These are only available for indoor hire.